The other opinion is that the name has Gallic-Roman roots, dating back to Roman times. One version is that it comes from ‘DUXEIO,’ a reference to a roman law of 129 A.D. Another version of the Roman theory is that the name came from either DUSSEIO, DUSSIUS or DUSSEUM, successive versions of the name. Duxxeio comes from Latin roots dux, ducis, meaning leader, guide, commander, general, duke, etc. However this leaves open the possibility that if true, there might have been several other variations of the name elsewhere. Whatever the origin, the name eventually became attached to the first known of the Ducey seigneurs, or land-holders, who were gifted control of the territory for prior military service. The first identified seigneur is recorded to be Ranulfe, a descendant of a Viking warrior, who was awarded fiefdom of Ducey lands sometime after the Norman invasion of England in 1066. Originally referred to in Latin as Ranulfum de Dusseio, Norman historians refer to him as “Ranulfe de Ducey” (Ranulfe of/from Ducey). 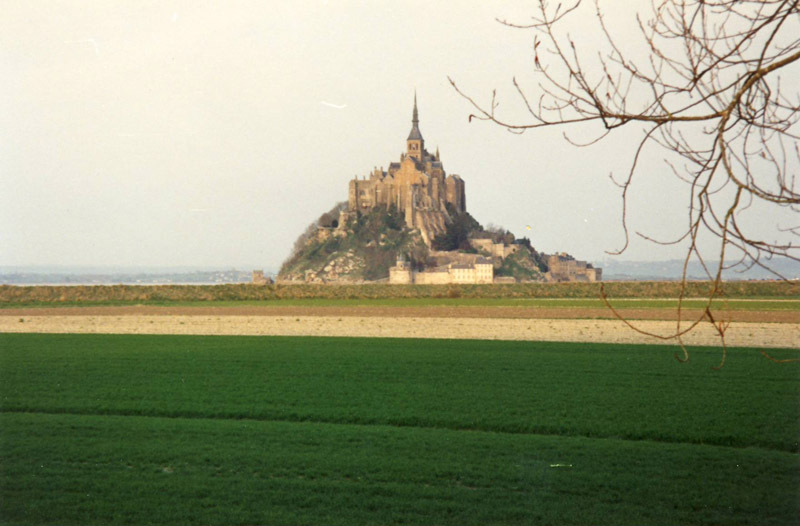 The first written reference to a ‘Ducey family’ member identifies his son, Roberti de Duxeio, who, about 1128 A.D. signed a charter pledging a gift of lands at Fougeres to the Chapel of St. Michael at the Abbey of Mont-Saint-Michel. This was a common act of wealthy landholders who did so in return for eternal religious blessings. …”According to the best authorities, the name is of very ancient Celtic, or pre-Celtic origin, going back to perhaps 1500 years before the Christian era. The first syllable “du” signifies water, or something connected with water, in all countries that were at one time the home of the wondering Celts. The suffix “cu” of “cey” indicates an inhabited place. Briefly, Ducey means a village near a river. It really has no connection either with the French word ‘douce’ (sweet), nor with the Latin word ‘ducis” (leader, possessive form), although it has sometimes been thus translated into other languages. The spelling “cey” is characteristic of the names of towns in southern Normandy, for instance: Marcey, Dragey, Chalandrey, Brecey,etc. Further north, this ending is usually spelled without the “e”, as: Tessy, Percy, Cerisy, Marigny, Pontfarcy, Courcy, etc. “Now as to the variations in the spelling of the name; when you have never seen a word written and are obliged to spell it, you spell it phonetically, don’t you? And as there are variations in pronunciations, so there will be variations in the phonetic spelling of the same word, even among well-educated people. During the lifetime of Sir Walter Raleigh, his name was spelled in seventy different ways by his friends and his enemies. He, himself, spelled it in three different ways, his preference being for “Ralegh,’ during the last days of his life. The opinion on the Celtic roots of the name (“on a hill near water”) cited by Sister Agnes was also favored by an earlier parish priest of Ducey, Edmond Bernard, cure of Ducey during the time she was writing in the 1950-60s. “Some local historians have reached conclusions about the origins of Ducey. Among them, the dean of local priests, Bernard Labbé (1918 – 1994), who was dedicated to local history and who has collected valuable historic facts about this parish. He has also done research on related subjects, such as the origins of Ducey. Francois de Beaurepaire, Les noms de communes et anciennes paroisses de la Manch, 1986. Information donnée par M. Rodolphe de Mons, des Archives Departementales de la Manche. A further possible source in France that I have been unable to access is by Roger Lepelley, 1963, Dictionnaire etymologique des noms de communes de Normandie. Finally, it should be noted that Sister Agnes pointed out in her introduction, that there is in North America a branch of Duceys which is not related to the French/English/Irish Duceys. These families descend from a group who came from Lithuania after WW I and took the name Ducey after arrival in North America.